Don't let anything distract you from giving your all in training with this Kooga Contrast Full Zip Hooded Rugby Sweat. 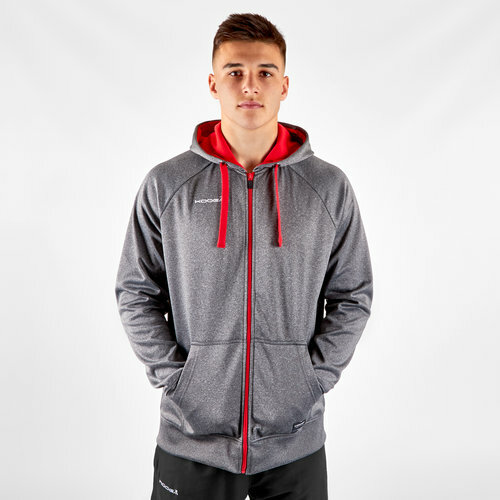 This soft feel hooded sweat from Kooga comes in a Charcoal Mark and Red colourway. The red colour adding the contrast making his comfortable zip thru a stand out. With chunky drawers for the dissed fit and a hood to protect you from the elements this top has it all. With two side kangaroo pockets your belongings can be stored away safely whilst the cuffed sleeves and hem provide added warmth.